Polymerization will not happen spontaneously, therefore, it often requires a mechanism that drives the polymerized reaction to occur. 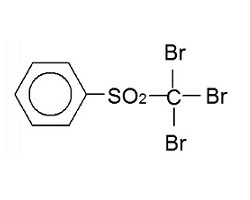 This mechanism requires energy, such as light or heat, to excite monomers into active centers of the chemical reaction, initiating the polymerization reaction. Photoinitiator is a light-sensitive chemical substance, which can absorb radiation energy (such as ultraviolet light) then turns to the change of chemical structure, decomposing into free radicals or cations. Those chemicals further initial a chemical-chain reaction with monomer to generate polymer. According to its principle of reaction, photoinitiators can be simply separated into "free radical provider" and "cationic". Based on the mechanism of initiating radicals are formed, “free radical provider“ are generally separated into two classes: Type 1 and Type 2. Type 1 photoinitiators undergo bond cleavage to form the radicals after they absorb radiation energy; Type 2 photoinitiators need to corporate with photosensitizers or Hydrogen donors, which can transfer energy by absorbing radiation energy, then producing radicals. Property Enhancer acts as a chemical agent to improve the reaction rate or to be involved into special application. ”Amine Synergist” neither absorbs radiation energy nor triggers the polymerization, but it increases the initializing performance of the photoinitiators. 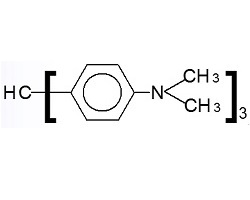 Other property enhancer such as “Leuco Crystal Violet” can be a color indicator that point out the end of the photo-polymerization. 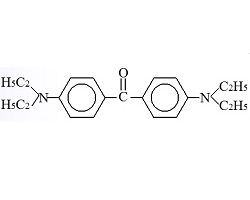 Due to the fast reaction rate, energy saving and solvent-free formula, photoinitiators are widely used in coatings, liquid adsensive, inks and so on. They are also adopted as a environmental friendly technology. Photocure® 393 is a highly efficient photoinitiator for photosensitive polymers which are used in PS plate, dryfilmresist, photoresist ...etc. Highly efficient photoinitiators for photosensitive polymers which are used in PS plate, dryfilmresist, photoresist ...etc. As a highly efficient photosensitizer used in UV-cured inks and resists. 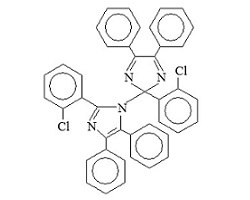 Indicator dye for radiation-curable imaging systems.